"Cheesy, hearty potato soup that's better than the restaurants." 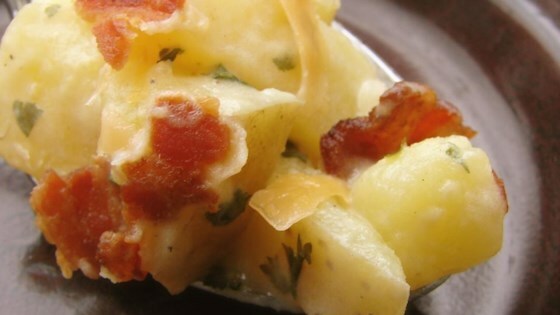 A delicious, chunky and creamy potato soup with bacon. Saute the onions and celery first ... AWESOME!